What is Telogen Effluvium (TE)? On a regular day, about 90% of the hairs on the average person’s head are actively growing. This is known as the Anagen phase. The others are resting or what’s known as the Telogen phase. A hair is in the growing phase for two to seven years, then enters the resting phase for about two to four months, and then falls out and is replaced by a new, growing hair. Since we have about 100,000 hairs, the average person naturally loses about 100 hairs a day. Because hairs that enter the telogen phase rest in place for two to four months before falling out, you may not notice any hair loss until two to four months after the event that caused the problem. Many people are already recovered by the time hair starts to fall which is also known as the exogen phase. Telogen effluvium rarely lasts longer than six months, but this is not set in stone. Although losing a great number of hairs within a short time can be frightening, the condition is usually temporary. Each hair that is pushed prematurely into the telogen phase is replaced by a new, growing hair, so there is no danger of complete baldness. Because hair on the scalp grows slowly, your hair may feel or look thinner than usual for a time, but fullness will return as the new hairs grow in. Hair grows an average of 1/2 an inch per month. Your hair may take a good 3-6 months before noticing regrowth. Having telogen effluvium is frightening. Many people are convinced they are going bald. If you have telogen effluvium, you’ll notice more hair than usual accumulating on your pillowcase, on the shower or bathroom floor and in your hairbrush. Your scalp hair may feel or look less dense than usual. Scalp could be more visible under certain lighting. Often, though, the hair loss is subtle, and the hairloss may only be noticeable to the individual. Most cases of telogen effluvium can be diagnosed based on medical history and an examination of the scalp and hair. If the hair loss has been occurring for several months, there may be visible thinning patches, but often the hair loss is not dramatic enough for a doctor to notice. 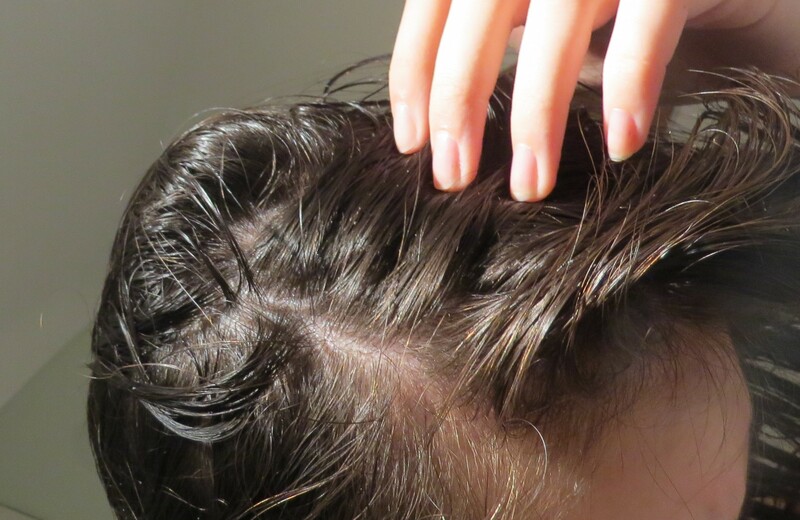 If you have large bald patches, you probably don’t have telogen effluvium. If the doctor gently tugs on some hairs on your scalp and four or more hairs come out, you probably have telogen effluvium. Also, the hairs will look like hairs in the telogen phase – they will have a white bulb at the end that was in the scalp, and will not have a gel-like covering around that end of the hair. If the hair does not have a white bulb or gel like covering, the hair may lack protein and is breaking. 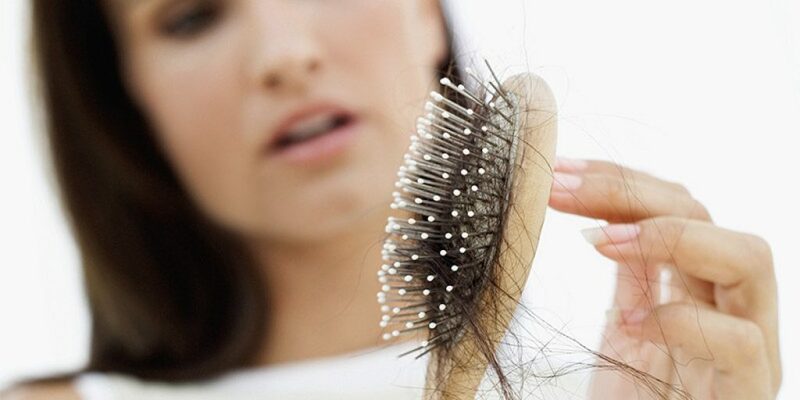 You may be asked to gather all hairs that fall out of your head over a 24-hour period, and count them to see if the hair loss is truly excessive. Losing fewer than 100 hairs in a day is considered normal. You also may be asked to gather and count lost hairs every one or two weeks to see when the shedding starts to decline. Typically, hair loss begins two to four months after the event that triggered the problem, and lasts approximately six months. New hairs begin growing immediately after the hair falls out, but significant growth may not be noticed for several months because the average hair grows about 1/2inch per month. Many people usually have fixed the cause of the telogen effluvium by the time their hair starts to fall out. As you can see, it can take a whole year from the time of your Telogen Effluvium trigger to be back to normal. It’s difficult but very important to not stress during this or it may continue to trigger TE resulting in what some people call CTE (chronic telogen effluvium). Once Telogen Effluvium is triggered, nothing can be done to stop the hair fall. 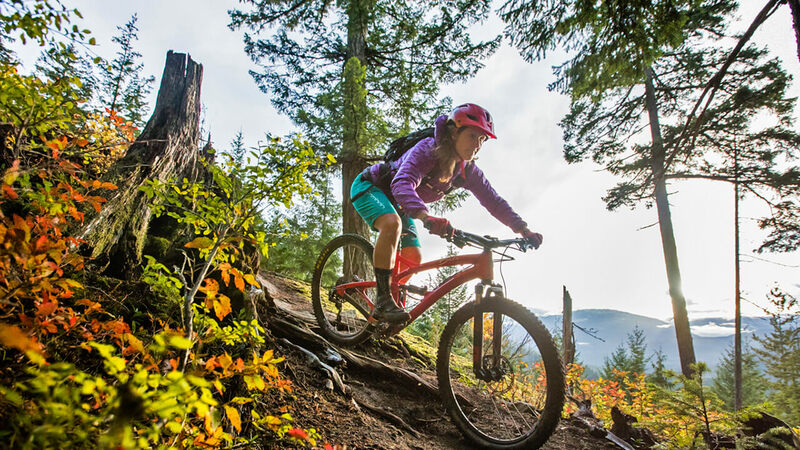 Some cases may be caused by a poor diet, and these might be prevented by eating a balanced diet that provides enough protein, iron and other nutrients. After you have addressed the reasons for your telogen effluvium trigger, it’s important to know and believe that the hair fall will pass. This will ease the anxiety you get every time you see the hairs on the floor or your pillow. People have reported anywhere from 6 months to a year to show signs of recovering. Dim the lights when styling your hair. At least don’t stand right underneath light. All this just adds to your shock. It may help to tell your close / loved ones about your situation. They may not even notice any difference. Please note that, it’s good to see how your hair fall is doing every now and then to see if your condition is improving. Some causes of the disorder can be corrected. For example, if you have a poor diet, consult a dietitian to help you balance it. If the hair loss began after you started a new medication, talk to your doctor to see if the medication should be discontinued. Many times, however, the cause is a specific event in the past, and you can expect that the hair will grow back. In cases where hair growth has not returned to a satisfactory level, your doctor may prescribe minoxidil (Rogaine), a lotion applied to the scalp that may stimulate hair growth in some people. 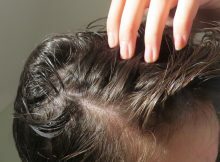 Will hair grow back after Telogen Effluvium? Good news is, if you have a simple case of telogen effluvium and the trigger is resolved, your hair will grow back. Most cases run their course within six to nine months, and the hair usually grows back. In some cases, the disorder may last longer. In other cases, not all hairs grow back.